According to the Torah, the raison d’être of the Jewish people is that we would be a blessing to the nations (see Genesis 12:3). It is overwhelming to me (in a good way) that Robin and I could be in Italy and have to opportunity to be a blessing in a multi-nation congregation. The congregation in which we served yesterday (Sunday) itself is an interesting example of how one nation can bless another. One could say that it has its roots going all the way back to 1492, when Christopher Columbus (an Italian!) began his search for a new route to the Far East. One of his stops on his first voyage was the Caribbean island of Hispaniola, which today is home to both Haiti, where are daughter Sarah is being a blessing, and the Dominican Republic. The Italian congregation that invited us here is called “Gruppo Cristiano Latino Americano” and has its roots in the Dominican Republic! There are several people from that country who are part of this congregation currently, including the pastor’s wife. 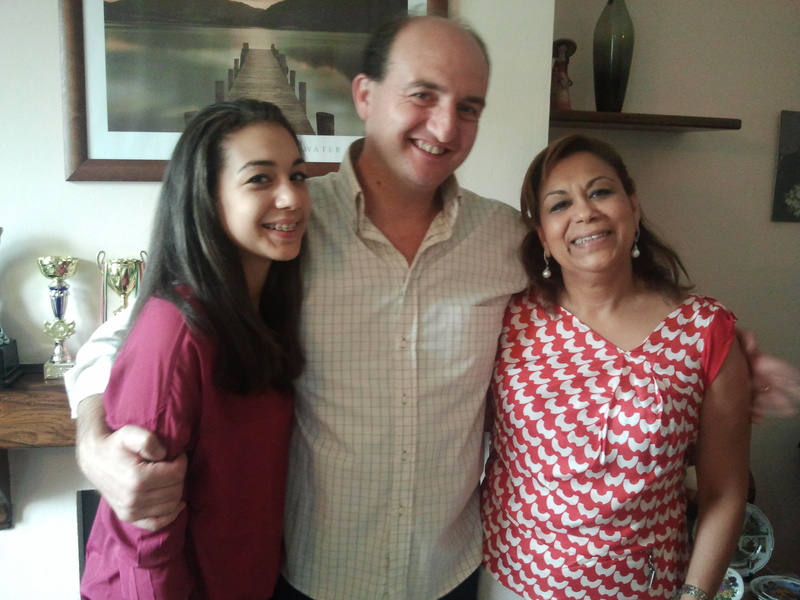 From time to time leaders and others from the Dominican republic come to visit. Something I stressed when I spoke there yesterday was how one people group being a blessing to another people group not only goes back to God’s promise to Abraham, but first came to pass when Yeshua the Messiah sent out his early followers to the nations. The Gospel breaks down the barriers between peoples and draws us together as brothers and sisters all worshipping the God of Israel (note: click on photos for larger versions). 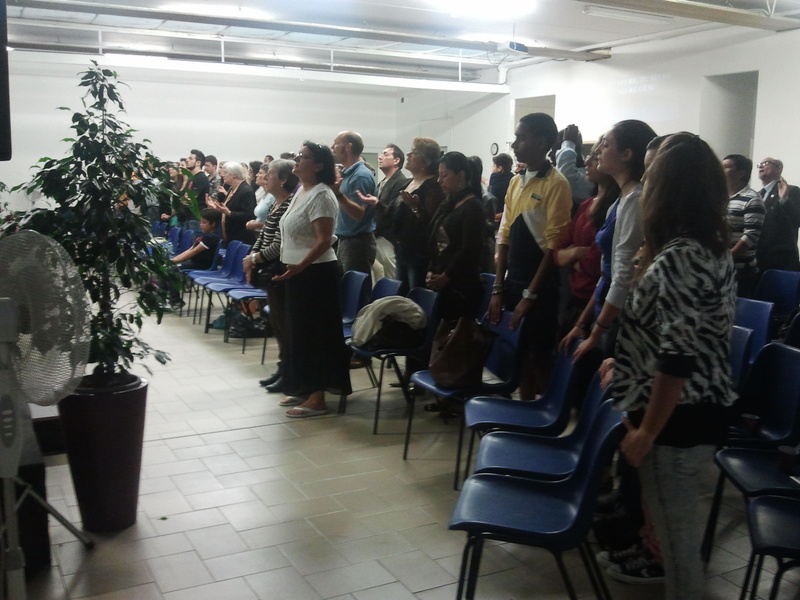 About 200 people attended the morning service. 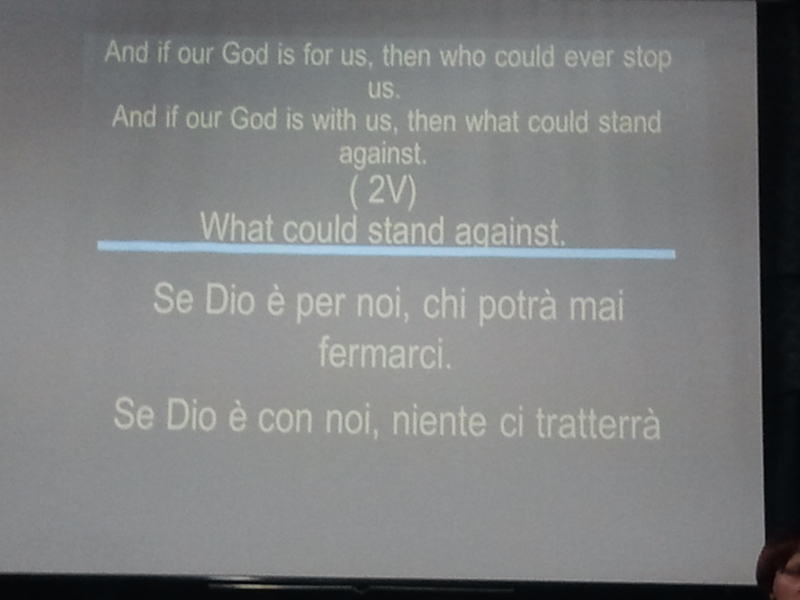 We sang one song in English and Italian, one song in Spanish, and the rest in Italian. The first song was the English song “Our God”, which we knew. They may have done it for our sakes. Here is a panoramic shot of the worship team. Sorry, it’s not the clearest shot, but Robin’s new phone has this feature, and I think it is cool. The worship leader is from Brazil. Most of the songs were quite lively. After the worship time, everyone is encouraged to hug each other (lots of kissing; of the appropriate kind, of course!). 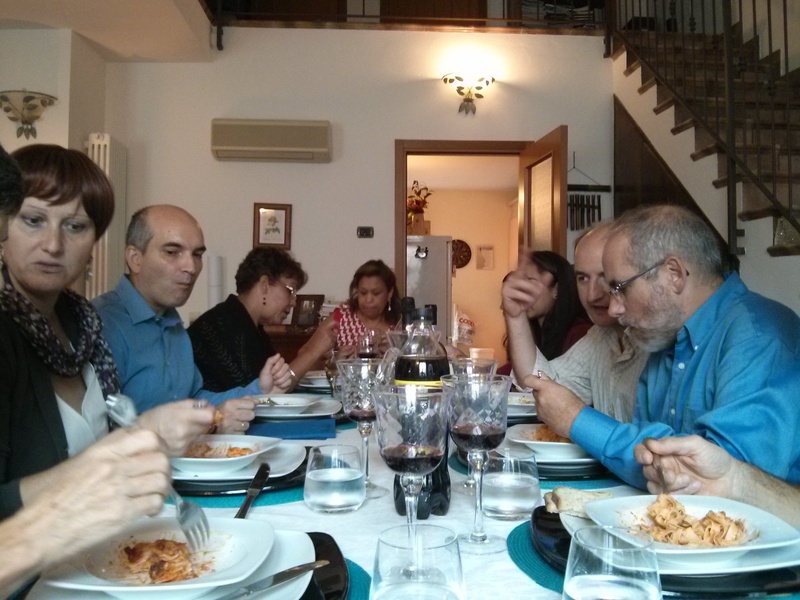 After the service we went to the pastor’s home and had a wonderful multi-course dinner. One has to remember that the pasta dish is not the main course! Later in the afternoon, Robin had a special session with just under 30 ladies from the church, which went very well. Tomorrow Robin and I head off by train on our own for two nights in Venice before we go to Ljubljana, Slovenia, on Thursday. Thanks to all who have been praying for us. Please don’t stop now! Continue to pray for our family while we are gone and for our time in Venice and Ljubljana. This entry was posted in Europe 2013 by alangilman. Bookmark the permalink. Reminds me of the time my mom and I attended a similar service in Rome.. They met in a odd place under a major highway. Let’s say a viaduct. We were very well received.